Metal Roof, Windows, or Siding? With our new metal roof and siding, our home looks new again! Thanks to Alcor, we have a beautiful home to retire in. 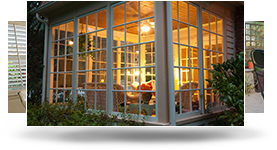 The professionals at Alcor have been providing the best in exterior home improvements for over 60 years. Whether you are building a new home or looking for the best in home improvements, Alcor specializes in expert installations of durable siding from Mastic and Certainteed, energy efficient replacement windows and doors from Simonton and Polygem, beautiful three season porches, and weather resistant shutters, metal roofs, and awnings. 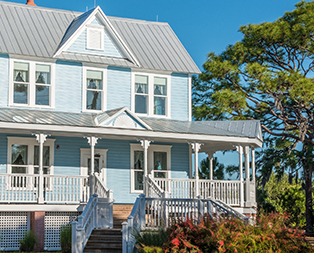 Why update your home with a new metal roof and siding? If your Grand Rapids home is in need of a bit of a facelift, new siding and a metal roof can make a world of a difference! At Alcor, we have both design and installation experience to update not only the look of your home, but also its functionality! Siding is a great, affordable option to bring new life into your home’s exterior, and at Alcor, we make it a hassle-free process. Our experienced roof technicians can install a gorgeous metal roof that complements your home’s look and feel, while at the same time ensuring your new roof will stand the test of time. Longevity – A durable and reliable option, metal roofs can last up to 40 years if cared for properly. Repairs are simple and may be either fixed by patches or roof cement. Protection – Metal roofs can be made of steel, tin, aluminum or an alloy of these, allowing for a strong, protective barrier to your home. They are resilient to the elements (including fire), keeping you and your family safe year round. Improved Aesthetics – Not only are metal roofs a great way to protect your home from the elements, they are also a stunning addition to any home. They come in a variety of colors and finishes, some even look like real wood! Long-Term Value – Since they are so long lasting, metal roofs are a great investment in your home’s future. When the time comes to sell your house, you can rest assured that these roofs will still have many years of life left in them and you’ll get some of your investment money back. Our goal is to update your residence or summer home with high-quality materials, fast, efficient, guaranteed workmanship, and knowledgeable, personal service. We built our family business on referrals and repeat business from across West Michigan. Contact us for full details.